Be inspired by the versatility of the log cabin design! 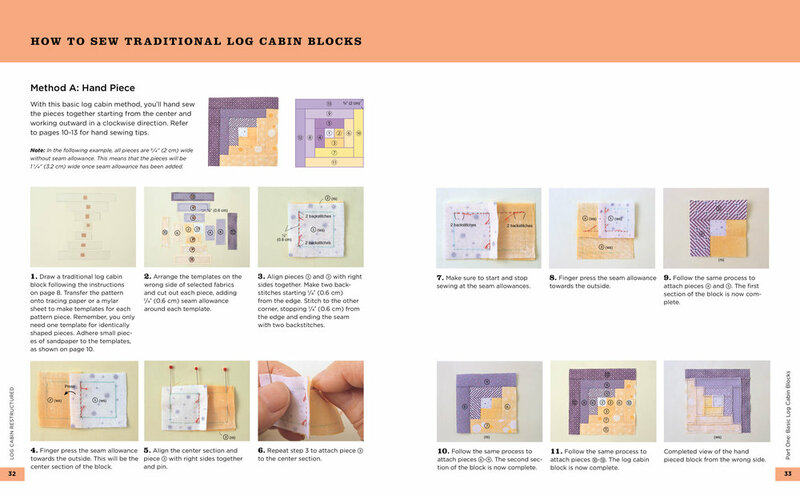 In addition to learning the basics of constructing a traditional log cabin block, with Log Cabin Restructured, you'll see innovative ways that this beloved motif can be used, such as diamonds, triangles, hexagons, and curves. Based on one of the most popular quilting motifs in history, Shizuko Kuroha provides more than twenty distinctly different projects constructed from log cabin block variations, including pin cushions, potholders, pouches, pillows, wall hangings, and full-sized quilts.